Many Internet users have been worried looking for a cheap means of internet just to get back online after MTN blocked their TCP Free browsing . Well Airtel Bis is still working on PC, Android, Ipads etc. 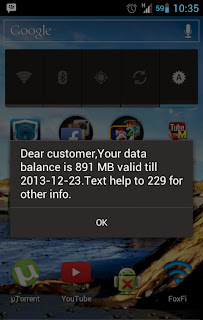 Today i want to update my beloved readers on a better Alternative to the Airtel Bis. Etisalat Bis is now working on both PC and Android devices, without wasting much time let me tell you how. ==>After the successful Activation of your monthly or weekly plan has been confirmed, Then now subscribe to Blackberry 10 daily plan by dialing *599*3*2# -cost 100naira. Surf with this for the mean time. until unlimited browsing is back. Oramunwa, its not a must, it can be done on any device. nice question. Anonymous 3Gb for the monthly plan. Not bad for a relief. In d apn setting, u meant blackberry.net and not blackberryx right? is dis been workng b4 or it has jst been dscovered now, must i use it wit tg? Dave its been wrking over a wk now. TG not required. Bros, I activated blackberry 1Month plan and when I try this code for the 100Naria this *559*3*2# here is the information I got: Receive: then I tried using my sin with the setting you have which is blackberryz.net and it was working well but after some hrs like 3hrs it stopped could it be that the bundle is finished or what please help me out Thanks. McDonald can you check your data balance by dialing *228#. Chris can i subscribe for the daily plan only to test run it? Anonymous 9:10pm yes you can subscribe for daily and test, but that will be waste of funds, becus this is working perfectly and fast. Of course you can make use of TG with it. Anonymous 1:40pm, this is still working well.., just make sure u followed as directed or u elaborate on the problem u have. Anonymous pls take note of that, bb10 dialy plan must be done. Is it with tunnel guru or does it work without it ? Anonymous 5:40pm..it works without TG, but if ur subscription is still on then u can make use of it with TG. What if u don't have modem can some use destop manager to brows ? If yes pls help us with the blackberry destop manger and discription on how to use it . (Pray) May God continue to see u through in all u do (Amen). 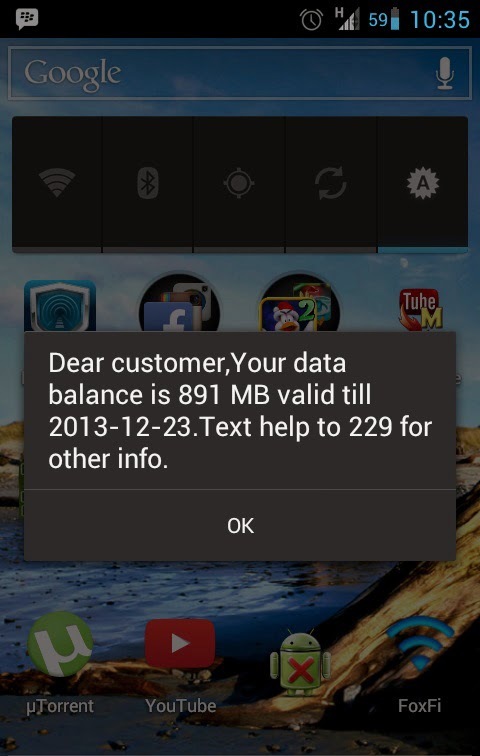 Chris Odu , <y brother I still have issue here, After that i have been going through I went and got another Etisalat sim and activated the BB plan and BB10 I used it like 1hr and it stopped working when i check my bundle balance I am still 3076MB while is this given me much whala? I feel like crying here please help this is the third time I am spending 1100 Naria on this. Thanks. "pls help us with the blackberry destop manger and discription on how to use it . (Pray) May God continue to see u through in all u do (Amen)." @Anonymous 7:56 AM : Just change your apn settings on your blackberry desktop manager to the above said : am not making use of blackberry desktop manager but i know there is a way to do that . ; Just give your self a little work .. You can only Discover new things when you try things yourself. Look around your blackberry desktop manager . @McDonald :. First am just trying to help :. Ok.
From your previous comment, you are making use of blackberryz.net, but chris wrote blackberryx.net, did you receive any message telling you that the 100 naira plan was successful , if not that might be the PRO. Anonymous 7:56AM for the settings of Blackberry Desktop Manager. When you launch the software goto Tools=>Mobile Internet settings=> and click on Add then input the Apn mentioned above. To download the blackberry Desktop Manager click this link Blackberry Desktop Manager the size is about 114mb. hi guys can i apply this tricks in south african, i mean the blackberryx.net via bis? Prosper am not too sure, but there is no harm in trying. You can try it out first using the daily plan, if it wrks out pls do let us knw. Anonymous 11:57am, etisalat bis is still working on pc..etc .You mentioned that ur daily plan is exhausted, which of the daily plan?? Mine works perfectly, both yesterday and right now.. Thanks a lot man.. But I had to spend 1k2 cos I couldn't Deactivate the daily plan so it automatically took 100# so I had to buy another 100#..Oga Chris, how can I Deactivate the daily plan against my next subscription. Thanks once again. Robert you can't use it on bb because you are now making use of data bundle, if you want to use it on bb then you will have to subscribe for etisalat bis daily plan. i am rocking it too. this will help me manage my airtel bb browser. anyway i have a feeling unlimited browsing will come up soon. thanks chris. the etisalat is working well... using it now. Bobsi good to hear from u, Been a while. Thanks that was the mistake and is working well. Hello bros, if i activate the weekly plan. What is data size for that day? Yes I am browsing well, thanks. yes, its been a while, its good to be ack, thanks for your hard work. we all appreciate the gesture. i know ur working on an unlimited browsing and it will be out soon. i wish u good luck bro. *thumb's up!!! Am having problem I did it for my iphone and set the access point and it worked well. But I noticed that once I have airtime in the sim.. I zapp it all. And when there is no airtime it still browse.. What do I do? Anonymous 7:37am the airtime it takes, is it a specific amount or any amount. What I mean is, does it take like 100naira everyday or otherwise? Anonymous make sure you are using blackberryx.net as apn, but if issue is still there then just leave the sim without airtime, since it still wrks like that. is it compulsory to subscribe to blackberry 10 daily plan for it to work? Josh it is compulsory, please don't skip that step, if not it wont work. nice question anonymous. josch confirm if u were able to browse at length, might be etisalat free mb u used. Prosper which other data bundles?? Pls how do i combine with TG? Anonymous 11:06PM if you already have a TG account just set ur TG client to Rport:500 lport:0 protocol:udp and that's all. Its still working perfectly, but seems new users trying to subscribe are having issues. @ Chris, It's working but i have almost finished the 3GIG,can i go ahead & subscribe again? Thank you Chris for everything ! Bayo am afraid it might not work for you on ur next subscription for now. plz help b4 i loss some money. Sam, this has stopped working since. Pls if my mb finishes on my etisalat bis bcos of movies am downloading, can I still ping and browse?